This Sunday will see Drogheda Lightning entering the history books in the sport of American Football in Ireland once again this year. The recently established Youth team will be one of only four teams from the entire country that are ready to compete in the first ever youth DV8 blitz in Ireland. The first honors of the day will go to Drogheda and Craigavon as they take to the field at 1pm to go head to head in the opening game on this historic day. Next up will be South Kildare and Carrickfergus, followed by a third place play off and then the final. Drogheda have worked hard and prepared well for this competition, but only time will tell if they have done enough or if first time nerves will get the better of this aspiring young team. The coaching staff at Drogheda Lightning cannot speak highly enough of the youth set up, Coach Tinley, Coach Neville and Coach Platten have been amazed by the hard work, enthusiasm and dedication shown by these young men and Senior Coaches Russell Kerley and Eoin O Sullivan have expressed their delight at having the privilege to work with such a great team. Coach Russell Kerley Head coach at Drogheda Lightning has said. 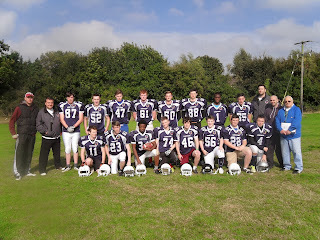 "I will be delighted to watch the first ever Drogheda Lightning Youth team take the field for the very first time this Sunday, Our Blitz day culminates many weeks of hard work and training by the Players, Coaching Staff, and Club Administration, This is just yet another stepping stone on the road to Success, for all that have a Passion for American football in Drogheda and County Louth. Our 'Boys in Blue’ are the future of the sport, and this is particularly encouraging for the future, I have no doubt that they will do their club and County proud in Carrickfergus this weekend." We would also like to take this opportunity to thank the members of the I.A.F.A for their hard work in putting this youth blitz together ,especially the Late Terry Lynch. 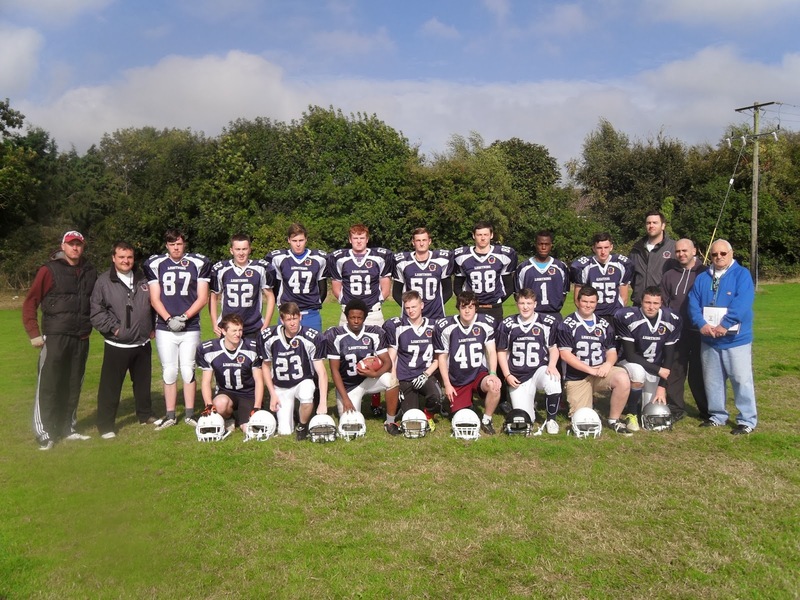 Terry had a strong vision as to the future of American Football in Ireland and before his untimely passing in August of this year he had firmly set the wheels in motion to establish a youth DV8 programme. For us here at Drogheda Lightning and I am sure for all other team’s involved it will be an honor to be part of bringing his vision one step closer to reality. Although it must have very difficult for the other board members of the IAFA they have made a commendable effort in continuing his work with the Youth DV8 programme and hopefully they will continue to do so for many years to come.